Each year as the warm days of summer turn to the coolness and bright colors of autumn, the Church celebrates the work and ministry of angels. We begin this twofold celebration on Sept. 29 with the feast of the archangels — Raphael, Michael and Gabriel. We conclude three days later on Oct. 2 when we honor the myriad guardian angels whom Tradition describes as assigned by God to each man and woman. The Scriptures speak of how angels are sent to assist in God’s plan of salvation. They bring messages, accompany the faithful along the path of daily life and fight the battles of God. We who seek to minister in Christ’s name are called to do likewise. In celebrating the archangels on Sept. 29, the Church reminds us of three special messengers who were sent to accomplish very specific tasks. The Book of Tobit, one of the classics of the seven apocryphal texts of the Hebrew Bible, tells the story of Raphael, who was sent by God to accompany Tobias in his quest to find medicine to cure the blindness of his father, Tobit. Raphael’s task is to lead, guide and protect his young companion in his quest. Along the way Tobias experiences many adventures, finds love and marriage and, in the end, secures the medicine his father needs. Thus he achieves many goals, receives numerous blessings and completes his mission. This is made possible because of the archangel’s guidance. Raphael has served his purpose well; he has carried out the mission God gave him to accompany, guide and protect Tobias from harm. and guard, Rule and guide. Amen. While Raphael’s mission from God was to guide and direct, Michael was sent to fight God’s battles. The short letter of St. Jude describes Michael in an argument with Satan over the body of Moses. 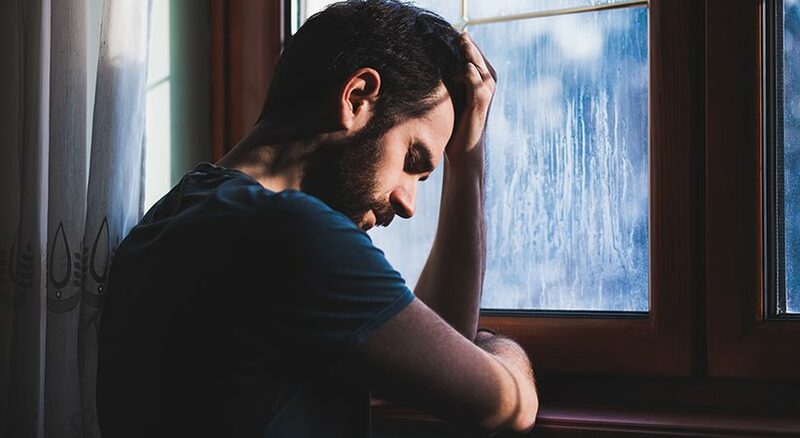 While Michael does not make any pronouncement against the devil, he does say, “May the Lord rebuke you” (Jude 1:9), indicating the false nature of Satan’s argument. In the apocalyptic Book of Daniel, Michael’s role is much more proactive. He is described as “the great prince, guardian of your people” (12:1). In his vision, Daniel describes the classic confrontation between good and evil at the end of time. Michael is the great champion of the people; he stands ready to greet those who rise from the dead and experience God’s great victory over evil. The New Testament continues to reveal Michael’s role as a champion for God. “Then war broke out in heaven; Michael and his angels battled against the dragon. The dragon and its angels fought back, but they did not prevail, and there was no longer any place for them in heaven. The huge dragon, the ancient serpent, who is called the Devil and Satan, who deceived the whole world, was thrown down to earth, and its angels were thrown down with it” (Rv 12:7-9). Michael serves the special and unique role to fight God’s battles against evil. “In the sixth month, the angel Gabriel was sent from God to a town of Galilee called Nazareth, to a virgin betrothed to a man named Joseph, of the house of David, and the virgin’s name was Mary. And coming to her, he said, ‘Hail favored one! The Lord is with you’” (1:26-28). 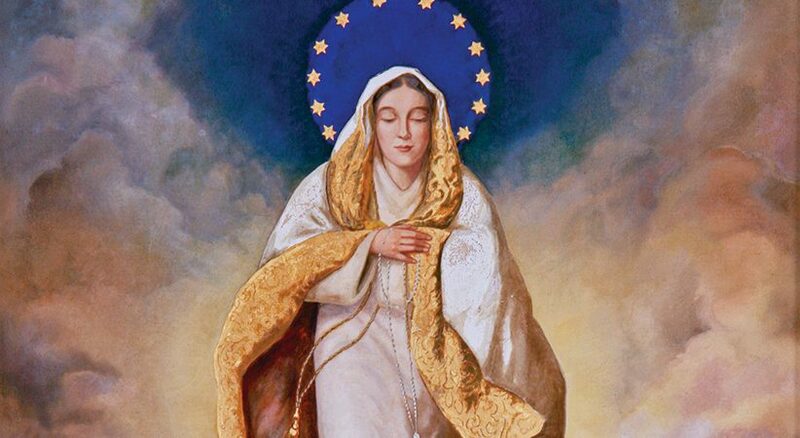 Gabriel continued: “Do not be afraid, Mary, for you have found favor with God. Behold, you will conceive in your womb and bear a son and you shall name him Jesus. He will be great and will be called Son of the Most High and the Lord God will give him the throne of David his father, and he will rule over the house of Jacob forever and of his kingdom there will be no end” (1:30-33). We next encounter Gabriel in Matthew’s Gospel when he delivers the message to Joseph that he, Mary and Jesus must flee from the wrath of Herod. “Rise, take the child and his mother, flee to Egypt and stay there until I tell you. Herod is going to search for the child to destroy him” (2:13). Later, after the crisis has passed, once again Gabriel comes to Joseph instructing him to return to Israel (see 2:19-20). The messages that Gabriel delivers were obviously highly significant and, thus, the Lord entrusted them to a special carrier. 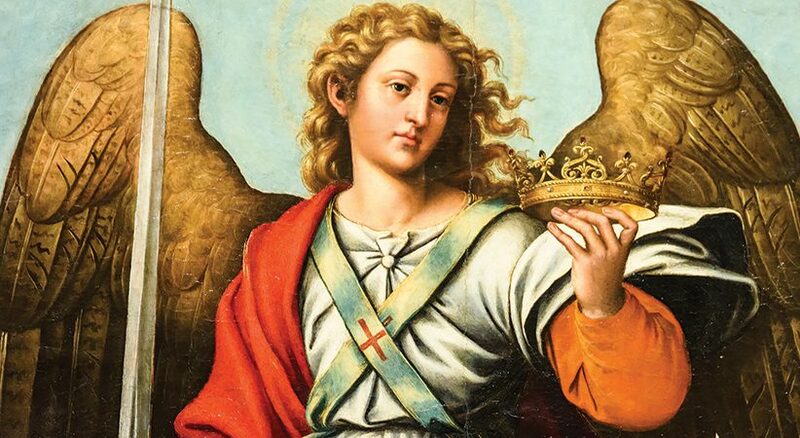 Three days after celebrating the archangels, the Church provides us the opportunity to honor the unnamed angels who guard and protect each one of us. 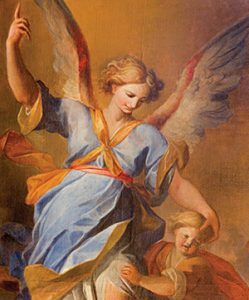 The often-memorized Prayer to the Guardian Angel says something powerful for our faith and belief in God’s abiding protection for us: “Angel of God, my Guardian dear, to whom God’s love entrusts thee here. Ever this day be at my side, to light, to guard, to rule and to guide. Amen.” The Scriptures describe these special guardian angels as having several special functions. Matthew (see 4:1-11) and Luke (4:1-13) describe the angels watching over Jesus during his great temptation in the desert. When tempted to throw himself off the parapet of the Temple, Jesus responds, “He will command his angels concerning you, and with their hands they will support you, lest you dash your foot against a stone” (Mt 4:6). John’s Gospel and the Book of Revelation describe these angels as ministering in God’s presence. While the angels ascend and descend on the Son of Man (see Jn 1:51), they stand before God and minister to his needs in John’s apocalyptic vision found in Revelation (8:2-11:19). Angels are also present as Jesus describes the Parousia in Matthew’s Gospel (24:29-31). In the parable of the weeds, we learn that at the end of the age, “The Son of Man will send his angels, and they will collect out of his kingdom all who cause others to sin and all evildoers. They will be thrown into the fiery furnace where there will be wailing and grinding of teeth” (Mt 13:41-42). Similarly, when describing his return, Jesus says, “He [Jesus] will send out his angels with a trumpet blast, and they will gather his elect from the four winds, from one end of the heavens to the other” (Mt 24:31). The tasks assigned to both the three archangels and the many unnamed guardians who stand ready to assist in carrying out God’s will are the same duties of those privileged to minister to God’s people. Like Raphael, we are called to accompany others along the road of life. What a privilege we have as religious and priests to assist through our presence, words of advice and support and celebration of the sacraments to accompany our brothers and sisters through the daily occurrences of life. We are called upon especially when difficulties, tragedy or other circumstances and events place heavy burdens or even cut down those to whom we minister. It is during such times that we fulfill the work of angels and, in many ways, become Christ to others. We recall the famous words at the end of the anonymously poem “Footprints”: “My son, my precious child, I love you, and I would never leave you. During your times of trial and suffering when you see only one set of footprints, it was then that I carried you.” Yes, we walk with our brothers and sisters during times of great challenge, but we also accompany them and celebrate each triumph and moment of joy. We serve as did Raphael and the many unnamed guardians who watch over us and stand ready to assist us whenever the need arises. “The existence of the spiritual, noncorporeal beings that sacred Scripture usually calls ‘angels’ is a truth of faith. The witness of Scripture is as clear as the unanimity of Tradition. St. Augustine says: ‘“Angel” is the name of their office, not of their nature. If you seek the name of their nature, it is “spirit”; if you seek the name of their office, it is “angel”’ …. With their whole beings the angels are servants and messengers of God. Because they ‘always behold the face of my Father who is in heaven’ they are the ‘mighty ones who do his word, hearkening to the voice of his word’” (CCC, No. 329). “As purely spiritual creatures angels have intelligence and will: they are personal and immortal creatures, surpassing in perfection all visible creatures, as the splendor of their glory bears witness” (CCC, No. 330). “From its beginning until death, human life is surrounded by their watchful care and intercession. ‘Beside each believer stands an angel as protector and shepherd leading him to life.’ Already here on earth the Christian life shares by faith in the blessed company of angels and men united in God” (CCC, No. 336). Besides walking with our brothers and sisters, we must also be the ones, like Gabriel, who bring the message of Christ to others. This important responsibility can be manifested in several beautiful and powerful ways. Through preaching and teaching, we have the opportunity to bring Christ’s message of love and compassion — as well as his more challenging missive of keeping our priorities straight — to the people we serve. The written word also can be an effective way to present the message of Christ to others. As Gabriel brought both good news and warning at different times to the Holy Family, so we have the task to present God’s message in a contemporary vein to Christians today. But lest we think that words are the only vehicle, we must always remember the adage “actions speak louder than words.” We must recall how St. James exhorted the nascent Christian community to “ante up” and communicate the message of Jesus by living an active faith: “What good is it, my brothers, if someone says he has faith but does not have works? Can that faith save him? If a brother or sister has nothing to wear and has no food for the day, and one of you says to them, ‘Go in peace, keep warm and eat well,’ but do not give them the necessities of the body, what good is it? So also faith of itself, if it does not have works, is dead” (Jas 2:14-17). As we accompany others and preach God’s message in word and deed, we also are called upon to fight Christ’s battles in our contemporary world. Indeed, this may be the most challenging of all responsibilities. Walking with others in need and preaching the word do not require significant “backbone,” for they are natural actions of a life of ministry. However, to stand against the onslaught of secular society, to boldly and consistently proclaim that there are absolute truths articulated by God and to be willing to suffer as a result will be extremely challenging for anyone. In essence, like Michael, who fought physical battles in support of God, we are asked in our contemporary world to be countercultural and refuse to compromise beliefs and standards that have been hallmarks of the Christian faith — and more specifically the Catholic faith — for centuries. Like what you’re reading? Subscribe now. This latter responsibility of fighting Christ’s battles has been a central part of ministry from the very beginning — and one that Jesus predicted. In the Acts of the Apostles, Peter stands ready to suffer as he boldly proclaims his faith amidst a sea of external opposition and hatred in the Jewish community (see 4:5-12). Similarly, Paul, preaching to the gentiles, was stoned, suffered shipwreck and was rejected by many. Yet he boldly could proclaim to his friend, Timothy, “Proclaim the word; be persistent whether it is convenient or inconvenient; convince, reprimand, encourage through all patience and teaching” (2 Tm 4:2). Jesus realized that his followers would suffer, but he reminded them that despite the pain their efforts would be rewarded (Mt 5:1-12). He left them with the knowledge that despite the opposition one may face and the apparent lack of success one might achieve, in the end, “Take courage, I have conquered the world” (Jn 16:33). The Church’s celebration of angels, those who assist in God’s work, is, in many ways, an annual opportunity for those who minister to reflect on our fidelity to the people we serve in imitation of the work of angels. The Scriptures speak of how the angels accompany men and women, sharing in the triumphs and defeats of life, fighting God’s battles today and proclaiming God’s word to others. Jesus is counting on us, as he does the angels. Let us not disappoint him! 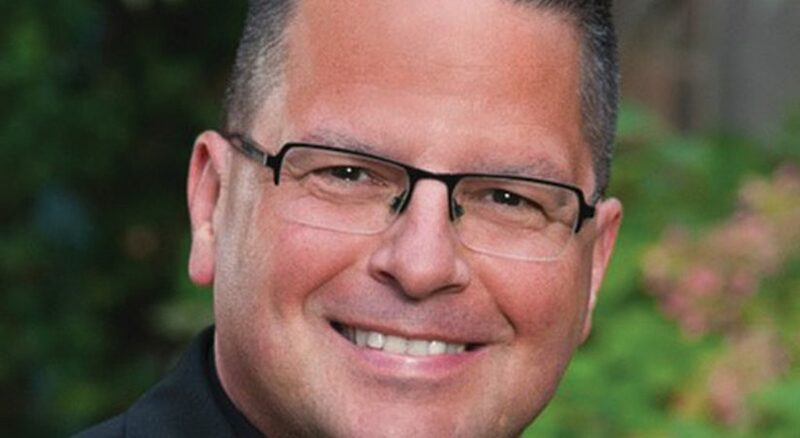 FATHER RICHARD GRIBBLE, CSC, is a priest of the Congregation of Holy Cross and presently serves as a professor of religious studies at Stonehill College in North Easton, Massachusetts.